For the first time I am giving you a tour inside my heart – or should I say ‘broken-heart’. I am sure everyone on this planet can relate to relationship loss. We have all lost someone or something at some point in our lives. On the other hand we have all gained someone or something. There is a give and take in relationships – you win some, you lose some … There are a variety of relationships to begin with and each one of them have a special place in our hearts thus affecting us differently. Every person in your life that you interact with on some level, you actually have a relationship with, as little as it can be. I start by saying that I am just like all of you who loved and got broken. The people may differ, the circumstances may differ but we all end up with similar feelings. Feelings of hurt….. and hopefully at some point, get back up and love again. Our relationships can be with our family, especially our parents and siblings. It can be with our friends. It can be a romantic relationship with our significant other. There are more types of relationships out there but I just listed the most important ones to me. Family relationships are complicated – can’t live with them yet can’t live without them …. Ironic isn’t it? It is inevitable that at some stage in your life, while you are growing up mostly, that you will find yourself arguing, disagreeing about almost everything and sometimes rebelling to extremes. The result can be very heart-breaking. Even the tightest families experience these things. Some manage to get through it without many scratches and some are not very lucky. I experienced the later. Things got so bad so fast that I thought I was living in a nightmare. I thank God that the damage was repairable and we are stronger than ever. I can tell you this, nothing and no one will ever get in the way with my family bond. Sadly, feelings got hurt in the process. Family relationship loss was experienced at a high level to the point that it could have never been repaired. I was one of the lucky ones to learn that valuable lesson and save my family from destruction. There is no point in pointing fingers and trying to figure out whose fault it was – because I tell you, everyone involved had a part to play and if everyone took responsibility to their role in the damage, then there is hope after all. On a general note: Parents are not always right – but they do have an insight that needs to be listened to. Children are not always right either just because they are in a newer and modern generation. The gap between generations have always been there since man’s existence however the problems between parents and their kids seem to grow more and more and the gap keeps getting wider and wider. Who is to blame here?? This has become an issue for every family in every country and every culture. I wish I knew the answer to this. My thought on it is actually very pessimistic and I am not happy to admit it. From what I see, family bonds have been broken about 20 years ago. The morals, values and principles we lived by kept on changing from bad to worse. The economy forced the family to have both parents working to afford the cost of living which resulted in less time with the children, less attention to their behaviours and sometimes sad to say less love shown to children. I go back to LOVE and say that it is the key to everything. If the child does not feel love and attention from his parents that he/she so desperately needs, he/she will act out, rebel, hang out with wrong crowds, get influenced easily and it will be a downhill road from there. Add to that the social crisis we live in – technology as good as it is, has created a bigger gap between people than you can ever imagine. Picture this in a typical family nowadays and I leave you with that thought on Family relationships: ‘Dad is working in his garage or basement or on his car or hanging out with his neighbour. Mom cooking or cleaning or doing Laundry or talking on the phone or watching her reality show or reading stories, child #1 is playing video games in his/her room interacting with his/her friends through a live program on his/her video game console or texting his/her friend sending jokes or watching YouTube videos, child #2 is in his/her room listening to some loud music, talking to his/herself, pretending there is someone else present in his/her room to talk to or on the computer chatting with his/her friend down the street or surfing the net watching who knows what or playing games on an iPad.’ The possibilities are endless to what every member of the family could be doing. I just got creative with my imagination using real life scenarios. The bottom line is to present to you a picture that shows you why family bonds have changed and why kids don’t listen to their parents anymore and why it is almost inevitable there will be heart-break in families. Let me touch a bit on Friendship loss since I experienced quite a bit of it in my lifetime. I am known to be a good friend, a loyal friend, a compassionate and forgiving friend. However, when I get back-stabbed or treated unfairly, I walk away and I never look back. Once I lose trust in you, it’s over. Those who know me, know this about me. My friendships tend to last for years and I focus on quality friendships rather than quantity. I have lost a couple of friendships along the way, each at a different stage of my life and for a different reason. At least two of those friendships I thought would last forever given how deep and connected we were. Another one of my lost friendships to this day I do not know what happened and why we are no longer in contact. I just accepted it for what it is and decided to move on with my life and convinced myself that there must be a reason why that person is not in my life anymore and it could very well be for my protection. From what exactly, I do not know. I guess that is what you call blind faith. I choose to be grateful for every friendship I had and still have. I must have learned a valuable lesson from each one of them. I must have received love from them at some point, just like I gave my love to them. I do not want to focus my energy on how a friendship ended or why it ended or who gave who more. Friendship is a gave and take, there will be good times and bad times, there will be laughter and there will be sadness, there will be love and there will be heartache. We hurt when we lose a friend because we truly were a friend to them and they were a friend to us. We hurt because we gave a little piece of our heart to them and entrusted them with it and somehow someway, that piece broke. It is up to us to take that piece back and repair it and get it ready for the next person that we choose to give it to and the cycle continues till our dying day. Now I want to talk about romantic relationships and I will admit I have no idea what I am about to write. Whatever comes out will be straight from my heart. So bear with me and forgive me for this lengthy post. Generally speaking, a romantic relationship loss is the heaviest among all other types of relationships. That is my personal opinion anyways. I cannot tell you how many times I got hurt and bounced back somehow. I can tell you this though, it is possible to love someone for a really long time even when you are not with them. I was lucky to experience love more than once – not too many – but not just once. I was introduced to real love at a young age and even though the relationship never worked out, I still love this person and I will continue to love this person forever I think. There is nothing wrong with that, we shared an unspoken connection, something that if you get to experience it once in your lifetime, you can consider yourself lucky. And I have been truly blessed to have experienced it. I am not afraid to say it out loud and admit that he is the “LOVE OF MY LIFE”. And by that I am not saying that I am still ‘in love’ with the person. You can love someone and not be in love with them. At least that is my belief and that is how I live my life. I am being true to myself if nothing else and if people don’t agree with me and have a different view on the matter, that is ok too. I know how I feel and that is I am capable of loving someone purely and not allow it to affect my future relationships. My most recent romantic relationship was my longest one and my most challenging at the same time. When I think about it now, even though it seems like everything is a distant memory, it still feels like it was just yesterday that I was so in love. I still remember our first date, our first kiss … boy was it electric!! I fell in love pretty fast and I wanted to spend the rest of my life with him. Did I make mistakes during the relationship? I sure did. Did I make the wrong decisions at times? wrong judgement? used wrong approach? I have done all of that – or else I wouldn’t be human. I cannot take back hurtful things I said or did. Neither can he. It is important to learn the lesson from those things though. I ask myself why did I stay in this relationship as long as I have. I can give you several answers or they can also be called excuses. Doesn’t really matter now what they are. The fact remains, what happened, happened. The relationship started at the time it was meant to happen for both of us and it ended at the time it was meant to end also for the both of us. Maybe if it ended any sooner, it would have been forced and would have been harder to move on because I will always be wondering: “what if I had stuck it out just a little longer?” or “If I had just been a little more patient!” I would have suffered from the ‘what ifs’ and it would have tortured me for a long time. I know in my heart that I gave this relationship all I got to give till there was nothing left in me. I do not regret loving him the way I did. I cherish the laughter, the great times we shared. I do not regret giving him my heart because he deserved to be loved. He loved me in his own way on his own time, he did love me nonetheless. If I were to find myself right in front of him now, I would say: “Thank you for being in my life, thank you for loving me”. It is safe to say that with every relationship, when we lose it, we gain something else. Most of the times, we gain ourselves. We learn from our mistakes (hopefully), we grow as individuals, we gain maturity, most of all we learn something new about ourselves. It is almost like you were meant to go through those experiences, even though your heart got broken, just so you would understand what you are made of and what you are capable of handling. It is to prepare you for what is to come in your life. I have come to accept that not every person that enters my life is here to stay for good. Some will, some are here now and may go one day for no clear reason, some will still come in my life and I do not know who they are and when or why they will be in my life, and some had already come and gone and I just have to come to terms with it. What is meant to be will be …. I enjoyed reading this. Very well said. It was comforting for me to read the section especially about love and serious relationships. I appreciated this post very much. Thank you. I think I needed to hear that. Your recent posts have touched me. Stay strong. You will get through it!! Life and love is all about relationships. Your profound and thought-provoking post nailed it! So true about family relationships and the distance between generations. Great post! Thank you. My inspiration is alive and growing because of someone like you who encourages and supports. 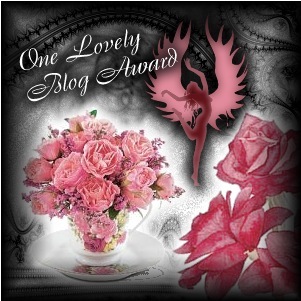 I accept the Versatile Blogger Award with great pleasure!!! What a wonderful post! You covered everything so well. Everyone can relate to something in your post. Your post is thought-provoking, sensible, and yet touching. I love this: “It is safe to say that with every relationship, when we lose it, we gain something else. Most of the times, we gain ourselves.” That is such a powerful statement and a good one to remember~ and teach our children. Something positive can come from something you feel is the most negative happening in your life at that moment. Great post….thanks for visiting mine!